In January 2008, a report was published with the ominous title, “The Burden of Digestive Diseases in the United States.” It’s not an easy or pleasant read: gastrointestinal infections, digestive cancers, gastroesophageal reflux disease, inflammatory bowel disease, etc. Since its publication eleven years ago, the burden seems to have grown heavier. And it’s no longer just a North American problem. Several decades ago, Asia seemed to have avoided such “Western” diseases, primarily because most of the population had healthier diets. But over the past two decades, digestive diseases have appeared in increasing numbers in countries such as China, Japan and South Korea, where people have more income and frequently choose processed and fast food for meals instead of wholesome nutrition. There are other factors, such as increased antibiotic usage, but dietary changes that decrease the intake of natural nutrients and increase fat and sugar are primary factors. It’s as though when economies grow and more people move away from farm-based food, addictions to convenience increase as a result of a faster pace of life, less free time and disposable income. Of course, the companies that created fast foods and processed foods years ago were out to sell products. Some have been incredibly successful, growing into global franchises and multi-national companies. In the beginning, there was likely no intent to create health problems by marketing their products, but over time, a link between these dietary changes and health problems has been firmly established. The AIM Companies™ was firmly established in 1982 with the intent to introduce a whole-food, barley grass juice powder via network marketing that improves people’s health: BarleyLife. Thirty-seven years later, AIM continues to successfully improve people’s health with a wide variety of natural products. And, being a network marketing company, over the years an incredible number of AIM Members have built independent distributorships that create monthly incomes by sharing these products. It’s AIM’s way of sharing the wealth. Along with BarleyLife, a number of AIM products have proven to be particularly beneficial for digestive health: Herbal Fiberblend, Herbal Release, FloraFood and PrepZymes, just to name a few. Herbal Fiberblend arrived on the scene in 1988 and ever since, countless individuals have benefited from its cleansing and detoxifying combination of fiber and herbs that supports a healthy digestive system. For example, constipation is noted in the 2008 report as one of the most common gastrointestinal disorders, and Herbal Fiberblend has proven to be an effective supplement for relieving this all-too-common health issue. Herbal Release became available in 1993 to provide a unique selection of herbs that cleanse at the cellular level for the health of organs and body systems, most notably for the lymphatic and immune systems. Nature has provided natural medicine from herbs since the beginning of time, and knowledgeably combining the variety in Herbal Release has allowed AIM to provide their natural benefits. FloraFood was introduced in 2000, long before the word microbiome became a regularly discussed aspect of human health and disease. 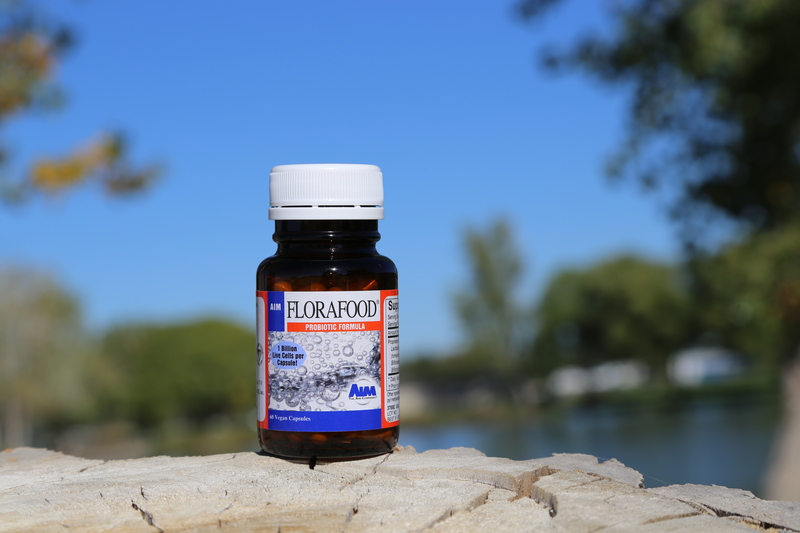 Containing three types of healthy human bacteria, FloraFood contributes to balancing out the necessary friendly and unfriendly bacteria that make up a body ecosystem that is vital for maintaining good health. PrepZymes also became a part of the AIM lineup in 2000, providing a variety of enzymes that target the digestion of different food components: protein, fat, carbohydrates, dairy, etc. The digestive system can use all the help it can get from the supplemental enzymes that PrepZymes delivers, not only for the break down and assimilation of food, but as backup for the enzymatic reactions that occur in the body. As the rise in digestive disorders continues worldwide, it is comforting to know that The AIM Companies continues to provide natural products that can support a healthy digestive system and maintain body health.